Hey everyone, I hope you all like my previous article. Do commenting guys and if you think it gives benefits to others then do spread through your social networking sites. Well, lets focus on this article. This post is totally focusing on Google adsense CPC. I think in today's world everyone is aware with CPC. It stands for cost per click. If you are a blogger then of course Google Adsense is your prime source of revenue. The short money which you make/click is called CPC. 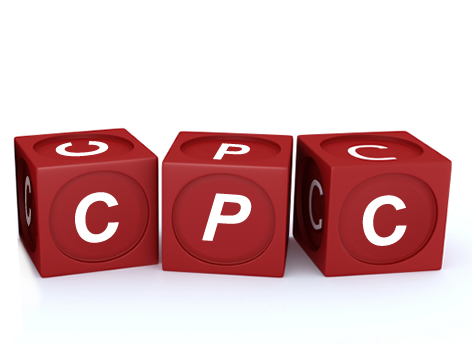 CPC is stands for Cost Per Click. In this post i will teach you how to increase your Adsense Revenue by making some simple changes and by following a few simple tips. AdSense is a great money making program or platform for bloggers which is mainly connected to type of content and traffic. There are so many factors affecting Google Adsense like Niche, Content, Ad Review Center, Platform, Country, PageRank etc. We discuss all these points/steps below. This is the first way to boost your adsense cpc. Niche is very important for increasing your CPC. When ever you write an article for your blog, the ads which are displayed in your blog is related to your article. So try to be unique and simple. Your article must be different from other blogs. Choosing a right niche for your blog is of utmost important. CPC of an ad directly depends upon the topic on which you’re writing your blog. PageRank is very important for any blog. PageRank is just a flow of incoming links pointing to your site. Better the quality links you have, larger is the PageRank and more the cpc. Try to rank above 4, if your PR is 5 or 6 then Google will show ads on your site which will pay you higher if someone clicks on these ads. 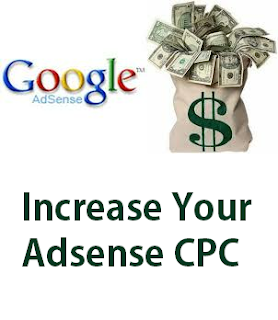 It is third method to boost your adsense CPC. Image and multi media ads works well in all the places. According to me, Google highly recommends Image and Text ads. Ads format must be text because text ads have higher click through rate. You must have ad format for both text & image simultaneously as it gives you more CPC. Find keywords with High Adsense CPC and a High Search Volume, using the Google Adwords Keyword Tool. Try to adopt unique keywords for your Niche. Advertisers on Google AdWords bid for unique keywords in targeting their ads, targeting your site for the high paying keywords will definitely increase the CPC of your ads. The fifth point or we can say the next steps/way to boost your Google Adsense CPC. People think that they will earn lots of money if someone clicks on them. But they doesn't think that they will also lost these ads if Google will punish them for useless clicking. Say NO to Click Fraud.You may get Earnings temporarily from these Clicks but they will most probably be reverted due to the low quality nature of the click. Google help online marketers to optimize their budgets and protect them from low quality traffic. The specialists of Google Ad Sense realize the fact that there is a great deal of webmasters who place their advertisement on low quality platforms, which don’t attract targeted audience to an online business. In the end, I would like to say that if you follow and implement these tips and ways then you can surely increase your Google Adsense revenue from 40% to 50%. It is completely legal and genuine way to increase or to boost your earnings in short duration period of time.